With a range of options now available to most customers via the Internet, poor customer service no longer will suffice. Customers demand more options and if your business doesn’t offer them, they will find a competitor that does. That means you have to step up your game. 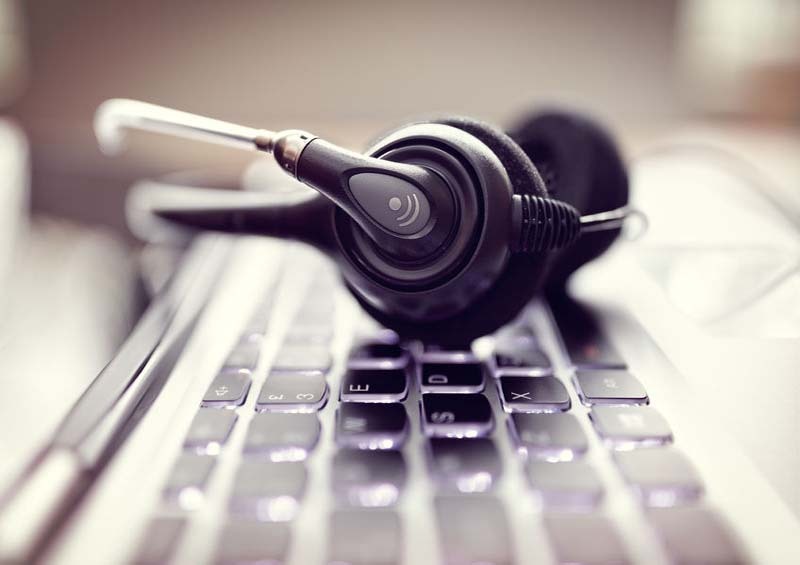 Here are five trends in customer care that are helping savvy businesses meet that demand. There’s a reason computer sales are down; people now use their mobile phones for most computing. This has led to an expansion of multichannel customer service, since smartphones make it easy to combine chat, email, phone, video, social and self-service customer care. A typical customer journey now might include browsing the web before visiting a retail store, then calling to place an order. Or checking a self-service portal, asking a question on social media, and then buying online. A self-service customer care portal is one thing, but customers are asking for more. The next innovation is taking advantage of basic artificial intelligence for smart chatbots that can answer simple questions posed by customers instead of forcing them to find info online. Think Amazon’s Alexa or Apple’s Siri. Facebook and others are making a major push in this direction, and helping companies of all sizes and types use chatbots to deliver a better, more engaged customer service. And the best part is that it is automated, so that’s good for business, too. Accenture has identified chatbots as a top customer service technology trend, mostly because it can greatly reduce the number of contacts that need to be handled by human agents, freeing live agents up to handle the most complicated queries. More than 80 percent of customer service sessions can be resolved by chatbots, according to Accenture research. That’s huge. First businesses used social for marketing and sales. Now we’re fully in the next phase where social becomes a platform for customer service. It no longer is enough to have a brand on Facebook and Twitter; firms now use it to handle customer concerns. This makes sense. Customers have made social media the defacto way that they communicate with family, friends, and even work colleagues. Social media is part of the basic fabric of our lives. So when a customer has a question or issue, they naturally turn to social media for answers and interaction. Customer support platforms such as Zendesk help make this easier, turning social into a full-featured customer care channel. Zendesk’s Meghana Killedar says that having a solid social media customer care platform is now as important as having telephone support. There’s been a lot written about how Millennials are more game-focused, and how “gamification” can help improve sales. But it also helps for customer service, as businesses are discovering. Customer-focused businesses are using gamification to find new ways to measure, encourage, and reward customer behavior. When a customer returns a positive review, for instance, many businesses are now rewarding the customer for the effort. Gamification also is helping support staff give their best, which of course is a timeless part of a good customer service experience; support starts with agents who care about their work. “While traditional performance goals can be vague or unimportant to employees, gamification builds a culture of achievement by providing measurable challenges and then acknowledging accomplishments in real-time, ” notes inContact’s Chandler Gault. Everyone, from grandmothers to harried B2B decision makers, now uses video chat. Technologies such as Skype and FaceTime have paved the way for widespread use and acceptance of video chat, not to mention the video chat now built into that massively popular social network, Facebook. Because customers have now gotten comfortable with video chat, businesses are using the technology as a way to establish better interactions with customers in a customer service setting. To call a company and speak with a faceless employee about a customer service question has been the norm, but the experience drastically changes when customers can actually SEE the agent they are talking with. Rapport increases, and that intangible human element that makes customers more loyal and satisfied. Businesses also can diagnose and guide customers better when they have a visual from the customer. One limiting factor with video-based customer service is video quality, of course; nobody wants to call for support and have pixelated images or dropped calls. That just doesn’t work. But companies like Agora.io have stepped into the breach and solved this issue by using dedicated data centers and proprietary optimization technology that gives a good video connection even with customers in rural environments or with spotty network connections. Agora.io gives businesses the ease of use of a Facebook video chat, but with the quality of service that is needed for customer care situations. These are heady days for businesses when it comes to customer service; there are lots of new ways to solve customer service problems and efficiently. And that’s a good thing—customers are demanding it! This post was contributed by JT Ripton. Follow him on Twitter @JTRipton.